The competitive business environment demands real-time information and immediate results for how shipping lines can reduce their traditional communications costs. Significant savings are achievable by deploying mobile technologies to address the provision of shipment status information to shippers, consignees and agents anywhere, anytime. SVM Mobile Solution uses the latest iOS, Android, and HTML 5 technology and based on the Model View Controller (MVC) architecture. 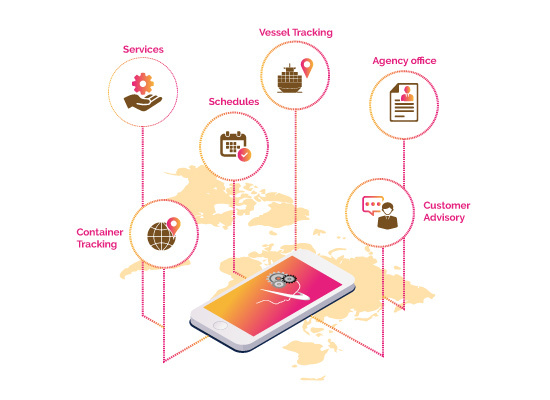 Single screen applications are provided for separate business applications and are used for container tracking, e-commerce, document verification and bills of lading. NFC and QR code technology is used for sharing information via Wi-Fi or scanning, quickly and efficiently.